The teahouse in the Tower of Cosmic Reflections at Lan Su Chinese Garden gives visitors the opportunity to sit, relax, and enjoy tea and food while gazing into this beautiful and special garden. 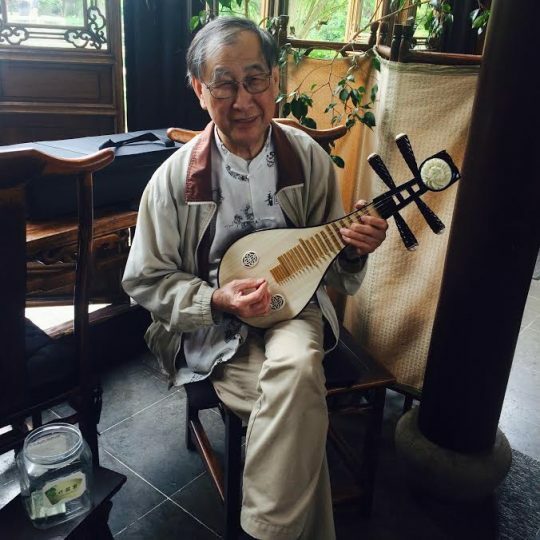 Operated by us since the year 2000, the teahouse is a great place to learn about Chinese tea culture, and to enjoy the serenity, beauty, and symbolism of Lan Su. Garden admission applies. Lan Su Chinese Garden members receive 10% off in the Teahouse. Visit www.lansugarden.org for more information on garden admission and membership. Lan Su Chinese Garden is open to visitors seven days a week, year-round, closing only on Thanksgiving, Christmas, and New Year’s Day. Lan Su Chinese Garden is one of Portland’s greatest treasures. Built by Chinese artisans from our sister city Suzhou (home of China’s famous ancient gardens), it is the most authentic Chinese garden outside of China. While touring the garden, the Tao of Tea teahouse is found in the “Tower of Cosmic Reflections.” It is a traditional Chinese teahouse serving a variety of teas and snacks. Visit our teahouse to see the current selection of teas. Popular Items: Dumplings, buns, noodles, moon cakes and more can be enjoyed daily with our specialty teas. Q: Do you need to pay the Garden admission fee to be able to come into the teahouse for tea? A: Yes, the teahouse is situated inside of the Lan Su Chinese Garden. The teahouse is open during Garden hours, and all customers must first pay admission to the garden. An annual membership for the Garden is available for people who like to come regularly. Q: Why do you close earlier than the garden? A: The garden and the teahouse share the same entrance, so in order for the garden to close, the teahouse must be empty. The teahouse stops seating half an hour prior to the garden’s closing time. This gives customers time to finish their tea and snacks and make their way out of the garden. Q: Do you have tea ceremonies? A: Yes. We offer some of our teas in ceremony style. Price is $8 per person. Q: How much time should we spend in the teahouse? A: Customers are encouraged to stay for at least 45 minutes in order to fully enjoy the tea drinking experience. Q: Can we share a pot of tea? A: Teas at the teahouse are served individually or as ceremonies. The price for hot tea begins at $5 per person. Q: Can we eat lunch there? A: Traditional light meals and snacks are available throughout the day. Snacks and light meals include: steamed dumplings, Chinese rice noodles, tea eggs and daikon salad, as well as several kinds of mooncakes and cookies. Snacks and light meals are priced from $3 to $10. A: We do not take reservations and will provide a waitlist if we are busy. We do offer rentals of our upstairs on weekdays (see below). Q: What about group reservations? A: Reservations can be made for groups of 10 or more on weekdays only between 10am and 11am. We have a minimum set fee per person for group reservations, which includes traditional Chinese tea service and complimentary light snacks. Please note that the prices do not include admission to the Garden, which is required to access the teahouse. If you are interested in a group visit to the teahouse, please feel free to contact Evonne at evonne@taooftea.com. Q: Can I plan a private event at the teahouse? A: The second story of the Teahouse is available for private rental: 2-hour minimum, 25 people maximum, on weekdays only (no weekends), September through May. Please contact Evonne at evonne@taooftea.com for further information.